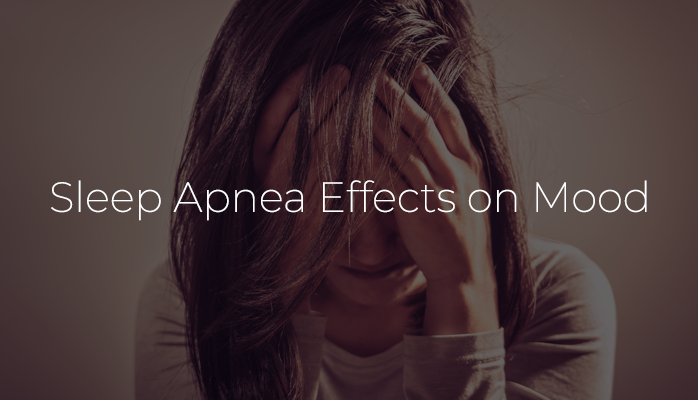 Obstructive sleep apnea is caused when the upper airway becomes blocked during sleep. This blockage greatly reduces or completely stops airflow, and is usually accompanied by loud snoring. Central sleep apnea is a type of sleep apnea that is caused when the brain does not send signals needed to breathe during sleep. This type of sleep apnea is not accompanied by snoring. Sometimes, a person can have both obstructive and central sleep apneas, which is called (3) complex sleep apnea syndrome. Obstructive sleep apnea is far more common than the other types. Chances are, if someone you know says they have “sleep apnea,” they have obstructive sleep apnea. Obstructive sleep apnea occurs when the back of the airway becomes blocked – i.e., there’s an “obstruction” that prevents your breathing. This obstruction can be (1) physical (anatomical features in your mouth such as tonsils) or (2) when the muscles in the back of the throat relax and close as you breathe in. It’s not uncommon for a person’s sleep apnea to be caused by multiple, compounding factors listed above. 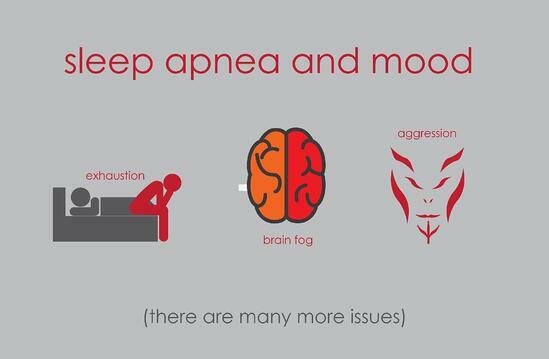 The main factor driving sleep apnea’s effects on your mood are the side effects of sleep deprivation. Depending on the severity of your obstructive sleep apnea, it can severely inhibit your ability to get restful sleep. The more severe and longer your sleep apnea goes untreated, the more severe your symptoms are likely to be. Additionally, persons who are obese or overweight may significantly reduce the severity of their sleep apnea by losing weight. A diagnoses starts with a sleep study or consultation with a sleep doctor. "Sleep Disordered Breathing and Depression among U.S. Adults: National Health and Nutrition Examination Survey, 2005-2008," SLEEP. Kimberly A. Babson, A.C. Del Re, Marcel O. Bonn-Miller, Steven Woodward. The comorbidity of sleep apnea and mood, anxiety, and substance use disorders among obese military veterans within the Veterans Health Administration. Journal of Clinical Sleep Medicine, 14, 8. Bumhee Park, Jose A. Palomares, Mary A. Woo, Daniel W. Kang, Paul M. Macey, Frisca L. Yan-Go, Ronald M. Harper and Rajesh Kumar. Aberrant Insular Functional Network Integrity in Patients with Obstructive Sleep Apnea.Sleep, 39, 5, (989), (2016). Anne Dominique Bartolucci. Effects of sleep deprivation, irritability, and negative affect on aggression, University of Georgia, 2005.